Which is the best card to buy ? See compatibility_drivers for updated information. Please read and understand the following prior to using this page: Tutorial: Is My Wireless Card Compatible? Microsoft Windows and all variants are NOT officially supported at this point in time. See this FAQ entry if your question is “What is the best wireless card to buy?”. 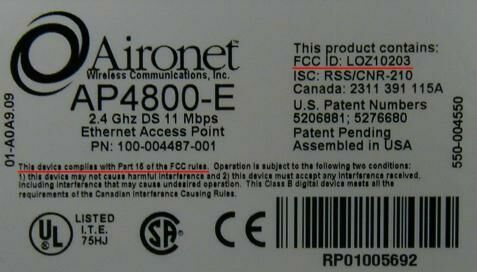 There are two manufacturers involved with wireless cards. The first is the brand of the card itself. Examples of card manufacturers are Netgear, Ubiquiti , Linksys and D-Link. There are many, many manufacturers beyond the examples give here. The second manufacturer is who makes the wireless chipset within the card. This is the most important company to know. Unfortunately, it is sometimes the hardest to determine. This is because card manufacturers generally don't want to reveal what they use inside their card. However, for our purposes, it is critical to know the wireless chipset manufacturer. Knowing the wireless chipset manufacturer allows you to determine which operating systems are supported, software drivers you need and what limitations are associated with them. The compatibility section describes the operating systems supported and limitations by chipset. Search the internet for “<your card model> chipset” or “<your card model> linux”. Quite often you can find references to what chipset your card uses and/or other people's experiences. You may also have a look at windows driver file names, it's often the name of the chipset or the driver to use. Check the card manufacturers page. Sometimes they say what chipset they use. Have a look at lspci -vv output for descriptions, PCI id and kernel modules used. Locate the FCC ID of your device. Enter the information into FCC Website and then browse the internal photos of the device. Hardware Comparison with a lot of details. Broadcom bcm43xx Old models only (BRCM driver) YES MOSTLY (Forum thread) No fragmentation attack support. Recommend to use b43, see below. Centrino b/g NO YES NO (firmware drops most packets) ipw2200inject No fragmentation attack support. Centrino a/g/n (4965) NO YES MOSTLY, see iwlagn. Fakeauth is currently broken. Ralink NO YES YES, see rt2x00, rt2500, rt2570, rt61 and rt73. Also see Ralink chipset comments later on this pager for important concerns. (ACX100/ACX111) NO YES YES (driver patching required) No fragmentation attack support. Please re-test fragmentation with the mac80211 driver + mac80211 frag patch! ZyDAS 1211(B) softmac NO YES Partially but NOT RECOMMENDED (See patch for details). Atheros has acquired Zydas and renamed this chipset to AR5007UG. ZyDAS 1211(B) mac80211 NO YES (patching recommended) YES, but no fragmentation attack support yet. Once you have determined the chipset, check the driver section for which software driver you need. Software drivers connect the operating system to the hardware. The drivers are different for each operating system. There are also notes regarding limitations. Hardware compatibility with your existing equipment. Price and availability of the card. Availability of software drivers for your particular operating system and intended use of the software. How active is development for the software drivers you need. How much peer support and documentation is available for the card and software drivers. It is not an easy decision to make. By considering these factors, it will help you make a more informed decision on what to purchase. (see this page for more information) Madwifi, ath5k ath9k, ath9k_htc and ar9170/carl9170 Atheros and Zydas USB 802.11n cards. The rest of atheros chipsets excluding the ones mentioned and MIMO series as well as fullMAC (these are rare, only found in embedded devices) should be supported. Centrino b/g ipw2200 See IPW2200 and RF-Mon. See more recent update info here See this thread for how to do injection. iwl3945 ipw2915 uses ipw2200 driver (See this thread for alpha injection support.) For ipw3945 you can use the ipwraw-ng driver, iwl3945 recommended on >=2.6.26, or see Live Distros for WifiWay which includes patches for injection. Centrino a/g/n iwlwifi 4965AGN under development. wlan-ng Use STA firmware >=1.5.6 (see Prism2 flashing)802.11b only, and only on old kernels ⇐2.6.20. See this forum entry regarding windows support. prismGT PrismGT by 500brabus prism54 only FullMAC cards works with aircrack on Linux. Deprecated driver, refer to p54. prismGT (alternative) p54 mac80211 based, requires >=2.6.30 for better softMAC support. Also supports PrismGT FullMAC and PrismGT USB based chipsets. RaLink RT73 USB Enhanced Driver The entire rt2x00 family: rt2400pci, rt2500pci, rt2500usb, rt2800pci and rt2800usb can inject and monitor. Including PCI and USB chips on b/g/n. One of the best chipsets nowadays is Atheros. It is very well supported under Linux, and also under Windows. The latest madwifi-ng patch makes it possible to inject raw 802.11 packets in either in Managed and Monitor mode at arbitrary b/g speeds. The madwifi-ng compatability list is an excellent way to determine if a card is compatible with the aircrack-ng suite. The madwifi-ng driver is used for the atheros chipsets. This driver does not support any USB atheros devices. However, Atheros acquired Zydas which makes USB chipsets (zd1211 and zd1211b). Atheros has renamed this chipset to AR5007UG. The AR5007UG chipset is NOT supported by the madwifi-ng driver, but it is recommended, because its one of the cheapest chips (about 5, 6$ on eBay) supported by aircrack-ng and offers reliable and stable operation for wireless connectivity. Starting with 2.6.24, AR5007UG(zd1211/zd1211b) can be used with zd1211rw. Madwifi-ng is deprecated and now most supported cards by madwifi-ng should be supported by ath5k or ath9k. Another USB chipset, AR9170, which covers Atheros and Zydas chipsets (zd1221) also provides aircrack-ng support with a mac80211 driver called carl9170. So does the ath9_htc for USB chips: AR9271 and AR7010. As of kernel 2.6.26 and later, a new driver has been incorporated named as ath5k. This driver, unlike the madwifi-ng driver which requires HAL and was previously proprietary is a HAL-free based driver. Most popular linux distributions would already have this driver included which should provide support for those using such chipsets and preferrably to try injection patches on this driver before reverting back to the madwifi-ng. Also, with ath5k comes ath9k, introduced for Atheros 802.11n capable chipsets. The ath5k and ath9k are not compatible as they have different designs. For more information refer to this page. It contains updated information on upcoming support for other atheros chipsets (except for atheros MIMO). Broadcom's “AirForce One” line of chipsets is recently catching up with Atheros in terms of Linux support. The new b43/b43legacy driver in 2.6.24 and up, when patched, can inject at speeds pretty much on par with Atheros. It also handles all attacks nicely, including fragmentation (although the underlying stack, mac80211, requires a patch to inject fragments). Current development versions of the driver can actually reach speeds higher than those possible with Atheros, often up to 700 PPS and over. Multi-VAP operation/concurrent monitor and managed interfaces, similar to the one seen in Madwifi, is also implemented through the underlying mac80211 stack. Windows, on the other hand, is not supported, except for some older 802.11b-only chipsets. Like Madwifi, b43 offers no support for Broadcom-based USB devices. For those, a separate driver called rndis_wlan exists, which doesn't support monitor mode (and will never do so, as the chipset has no raw mode). Draft-N devices are also not yet supported. Intel wireless cards are common devices found inside most laptops apart from Broadcom, Atheros, Ralink and Realtek. These devices has native linux support and generally do work well for most parts except for Intel's older chipsets such as ipw2200. 3945 owners are recommended to use iwl3945 as the older driver ipw3945 does not have monitor or injection capability and requires ipwraw-ng and is often not easy to work with ipwraw-ng. Owners of 4965 and later has support with iwlagn. Intersil chipsets were well known back in the old days of wireless identification. The company had open designs and schematics for most of its products along with the source code (firmware remains proprietary but otherwise). These chipsets quickly gained the linux support due to the company's open handed approach until it was purchased by Conexant. 1) They are buggy in which they would operate, for example wlan-ng does not obey iwconfig commands and requires its tool in order to change the modes, even to turn the device on so that iwconfig will start displaying information from the driver. 2) The injection patches only work on older kernels, so for kernels beyond 2.6.20 will not inject properly. So if one were to continue using legacy chipsets, they must use older kernel, old drivers and firmware or they will not gain the extra features. As for Intersil/Conexant PrismGT chipsets, the support for these on linux has been making a comeback. Initially the prism54 driver is only able to support fullMAC cards, the support for softMAC cards were all over the place such as the use of islsm. As of kernel 2.6.26, a new driver p54 has been incorporated with plans to merge both fullMAC and softMAC support of Intersil/Conexant PrismGT product range. The initial code was buggy but users with >=2.6.28 kernel will benefit regardless of which PrismGT they own. Ralink makes some nice b/g chipsets, and has been very cooperative with the open-source community to release GPL drivers. Packet injection is now fully supported under Linux on PCI/CardBus RT2500 cards, and also works on USB RT2570 devices. However, these cards are very temperamental, hard to get working, and have a tendency to work for a while then stop working for no reason. Furthermore, the RT2570 driver (such as that for the chipset inside the Linksys WUSB54Gv4) is currently unusable on big endian systems, such as the PowerPC. Cards with Ralink chipsets should not be your first choice. There is one exception with regards to the Ralink chipsets. This is the RT73 chipset. There are excellent drivers with high injection rates for the RT73 chipset. Devices with the RT73 chipsets are recommended. As of kernels >= 2.6.26 there are mac80211 based drivers which should give better support for almost all Ralink chipsets. As for Ralink 802.11n capable devices, they are slowly gaining support, read here. Cards containing the Realtek RTL8187L chipset work quite well and is recommended. The driver patch for this chipset has been continuously improved and quite good at this point in time. The Alfa AWUS036H is a very popular card with this chipset and it performs well the aircrack-ng suite. This chipset is not to be confused with the RTL8187B, which is nowhere near as tested as RTL8187L. There are some cheaper models with a similar name (WG511 and DWL-G520+); those cards are not Atheros-based. Also, the Peek driver does not support recent Atheros cards, so you'll have to use CommView WiFi instead. There is an earlier version of these cards called “WL-138g”, which is Marvell-based and thus unsupported. 2.6.25.1 or newer kernel is required if you want to use this card with b43. Netgear WG311 v1 is likely compatible (Atheros). Revision 2 is experimental (ACX chipset). Revision 3 (Marvell) is unsupported. See http://madwifi-project.org/wiki/Compatibility/Netgear#WG311. See this thread for important considerations. See this link for the card details. Part number: 40Y7026. This card has a soldered-in external antenna, with the wire between the card and the antenna easily pigtailable to RP-SMA. See Notes 1 and 4. Digitus DN-7003GS RTL8187L Internal No Yes USB info: 0bda:8187 Realtek Semiconductor Corp.
Netgear WG111 v1 PrismGT SoftMAC Internal airodump-ng Untested See note 3. Needs a recent GIT kernel from the wireless-testing branch. See this thread message comments on this device. See this thread for pictures, links and other information. Netgear WG111: This Netgear support page describes which serial numbers are for each version of the card. See zd1211rw for the limitations. WUSB54GC v1 is silver-colored, v2 is white, v3 is black. V2 isn't supported yet (only by wl but wl doesn't support monitor mode). All prism2 or prism2.5 on this wireless card support page can inject. New laptops now normally come with ExpressCard slots. The current problem is that there are not a lot of ExpressCard wireless cards which are compatible with the aircrack-ng suite. However, ExpressCard to PCMCIA/Cardbus adapters have appeared in the market. The question has always been “Will these adapters work correctly with the aircrack-ng suite”. Read this thread and this thread for the details. If you try any adapters, please post your findings (good or bad) to the forum. This is very important so that everyone can benefit from the experiences of others. Rosewill RC-608 ExpressCard to CardBus Adapter.